Makenzies Miracle: Look Mom.... No Hands! Watching Makenzie grow and heal is an amazing thing. The last year has been a great year. So much about Makenzie has changed for the better. She has become so much more aware of everything. Her receptive language has bloomed along with her vocalizations. She has begun to use her arms so much and her back and shoulders have loosened up a ton allowing Makenzie so much more functional, purposeful movement. I think one of the most encouraging things to watch lately has been Makenzie's realization that she can propel herself. She has always loved movement but up until just a few months ago she had no clue she could make it happen all by herself. Today at PT we rigged up a scooter board so that she could "crawl" She loved it and she was able to use her legs to move all over the clinic! She laughed so hard! On the days that I get frustrated, I think about how far she has come in the last 3 years. I see her improving a little bit every day and I know that more healing will come. I dream about 3 years from now and it brings a smile to my face. 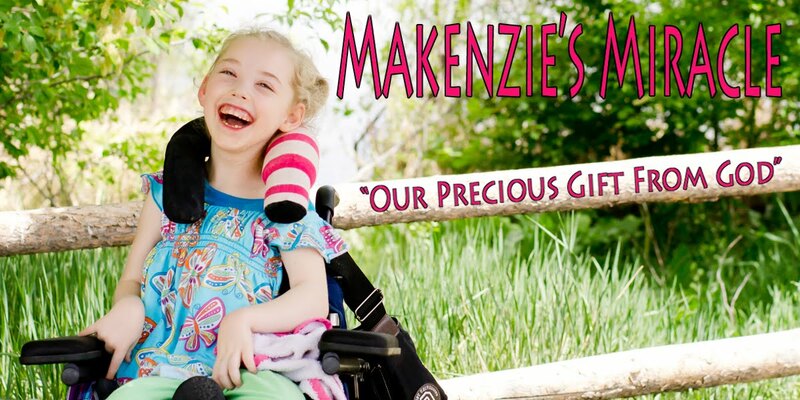 I was chatting with a friend of mine tonight about Makenzie and her progress. Jokingly she typed..... to bad stem cells don't work!..... I laughed. There are so many people out there that believe there is no way stem cell therapy could scientifically work. To those people I urge you to take a look at Makenzie and then tell me she realized no benefits from receiving stem cells! God made those cells, he gave man the intelligence to find those cells and then He guided them to where they needed to go! Maybe that is not science after all! I am SO ready to go back for round number three! What a great day! However tonight Makenzie had some tummy problems. Her brother had a short stomach bug a few days ago and I am thinking Makenzie may have it. She is sleeping peacefully and tolerating water well at the moment! Please pray that this passes quickly!